The history of "The Great Bottle vs. Can Debate" has been full of lagers and hoppy ales. With such a limited number of beers available in both vessels it's rare that this section gets to host such a prestigious beer. 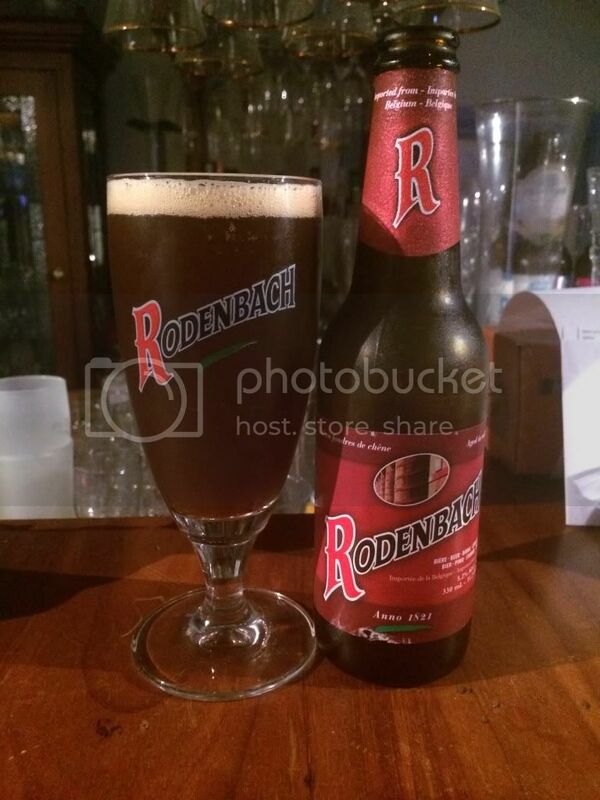 Rodenbach is a Flanders Red Ale, an unusual Belgian beer style which involves barrel aging the beer for long periods of time and then blending the aged beer with new beer. 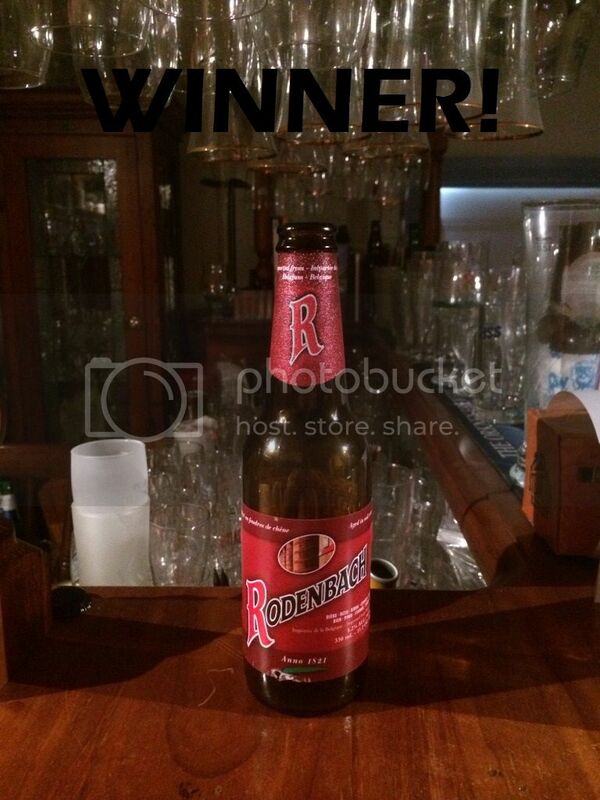 Until only 2 weeks ago I was unaware that Rodenbach was even available in can form. Since then I've had quite a few of them, it's one of the most sessionable sours out there. I know I've had the bottle before but can't remember it, so I'm very interested to see what differences there are between the can and the bottle. I think it's fantastic that there is a sour available in cans, imagine taking a couple of sours to a festival as morning palate cleansers! Both the bottle and the can pour a similar red colour. The head from both vessels has a pinkish tinge to it with a number of large bubbles dissipating it quickly. The can appears to have a slightly larger head - although both are comparable. On to the nose and again it is hard to distinguish a noticeable difference between the two. Both have good tartness with sour cherries being the dominant aroma. There's also hints apple, plums, grapes, vanilla and a very light oaky aroma. Unlike the appearance or the aroma there is a noticeable difference in the flavour between the bottle and the can. Both have a distinctly tart cherry flavour initially before the can takes on a distinctly vinous characteristic. The bottle has a longer lasting sourness than the can as well as having an extra layer of complexity with the fruit flavours more prominent. The can is slightly less carbonated which makes it easier to drink. Both are excellent beers, but which is better? This is the hardest decision I've had to make in the whole of The Bottle vs. Can Debate. Most of the time there is a clear cut winner due to the presence of off flavours or clearly more prominent hops. 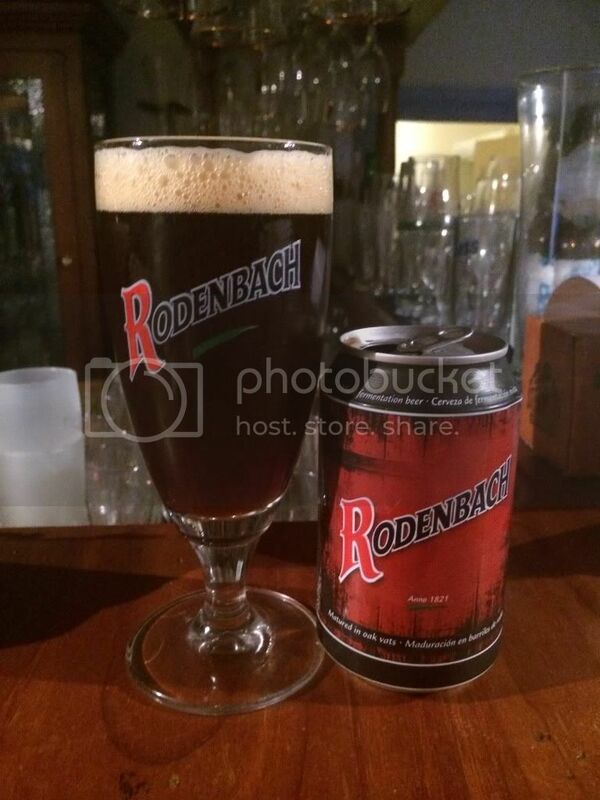 Rodenbach is different, the vinous quality of the can makes it seem like these are two completely different beers. After much consideration - I'm going to award it to the bottle. It's just a touch more complex and definitely slightly more sour. Don't look past the cans if you see them though - they are very good in their own right and more sessionable.